Stern quality checks, frequent examinations and perfect packaging, we make certain that the range is as per the industrial standards. We properly package our products using premium supplies and ultramodern technologies to make sure they endure shipping, handling, mechanical damages etc. We provide customized packaging solutions. 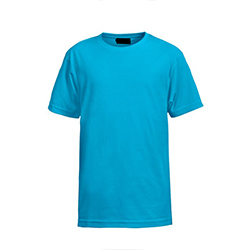 WB-1702 Sports Round Neck T-Shirt has a soft fabric lining with a regular fit design and high durability.